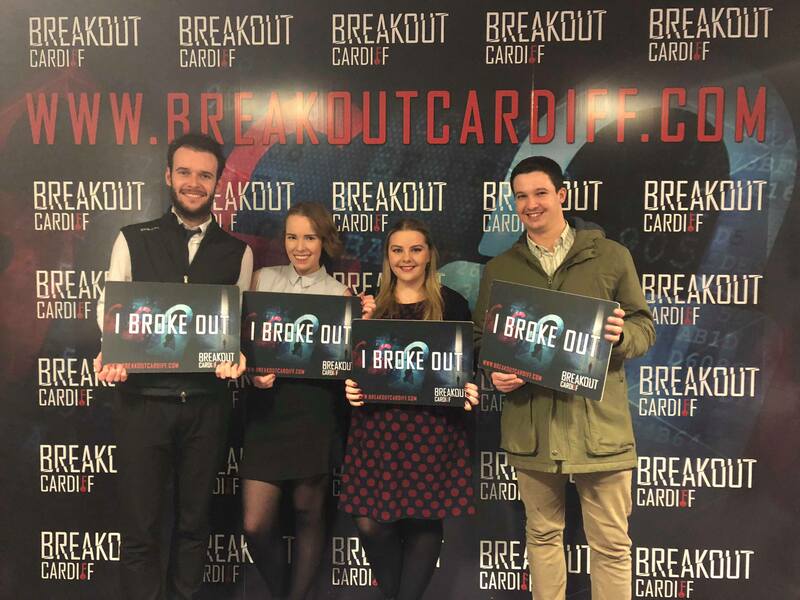 If you’re looking for something a little different to do with family & friends this Christmas, or something new to try in the New Year to beat those January blues, look no further than Breakout Cardiff. It’s a game for all the family to play for any occasion. It’s located in the middle of the Brewery Quarter, so right in the centre if you wanted to go for a meal or a drink afterwards. The staff are friendly, approachable and yet professional to explain the game to you & what is about to happen. Then they leave you at the door to escape in your team of 2-5. There are cameras inside to signal to staff if necessary. If they can see you’ve been stuck on a particular section for quite a while or are running out of ideas, they will pass on a clue though the television screen in the room itself to help you out. There are puzzles, riddles, & lots of mysteries inside the room to solve in order to escape. I don’t want to say much more for fear of giving anything away. This is something definitely to go into with as little information as possible to see all the surprises along the way. All in all it’s a lot of fun, great for team building exercises and quite simply a good laugh. Nothing beats the rush you get if you do actually manage to escape! The Brewery Quarter, Caroline Street, Cardiff, CF10 1FG.